In what has generally been reported as a “major coup” for African Union forces – and by extension the KONY2012 faithful – a senior LRA commander, Caesar Achellam was detained over the weekend while crossing the border between the Democratic Republic of Congo and the Central African Republic. While the Ugandan army (the UPDF) were quick to exclaim that they had captured a “big fish” and many reported that Achellam’s arrest marked a huge victory in the hunt for Kony, there are good reasons to be skeptical of these claims. 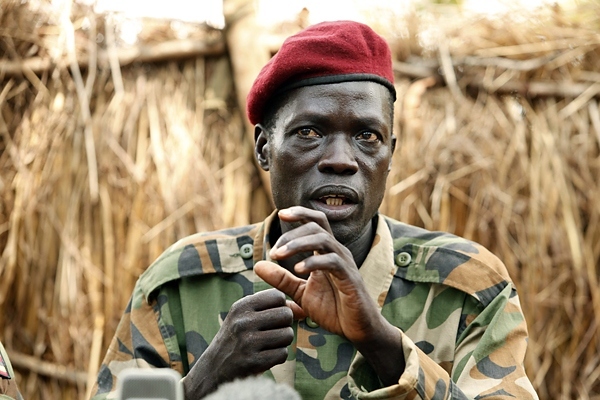 Achellam is a senior commander in the LRA. He was, at least as of 2008, a Major General. It was reported that he was close to Vincent Otti, the LRA’s second in command who was executed in 2008, on orders from Kony, for having been too deeply involved in efforts to resolve the ongoing conflict. Many of those who were close to Otti feared for their lives and Achellam apparently sought to surrender himself. While it is unclear how, he clearly regained the trust of Kony, rising to a prominent position in the LRA. Some say that, at the time of his “capture”, he was the fourth most senior commander in the LRA, perhaps even the LRA’s most senior strategist. Despite his seniority, however, Achellam is not amongst those LRA combatants indicted by the ICC. There is no doubt that this is a major PR victory for the UPDF and its attempts to “kill or capture” Kony. They are clearly treating it as such as well. In the immediate aftermath of Achellam’s “capture”, regional officials were barred from publicly admitting that Achellam was in UPDF custody. The UPDF wanted the media to gather in a South Sudanese town before Achellam arrived and was paraded before them. Going the way of Kwoyelo? It remains unclear what fate lies ahead for Achellam. Radhika Coomaraswam, the United Nations Special Representative of the Secretary-General for Children and Armed Conflict, has already urged Uganda to prosecute him. However, under Ugandan law, if Achellam renounces the rebellion and applies for an amnesty certificate, the government is obliged to grant an amnesty to Achellam under the 2000 Amnesty Act. Importantly, under the Act, it is irrelevant whether or not the rebel in question surrenders or is captured. However, the debacle that is the Thomas Kwoyelo trial suggests that Achellam’s fate may be murky. Courts have ruled that Kwoyelo, also a former senior LRA commander, should qualify for an amnesty. International human rights groups have supported the prosecution against Kwoyelo and have consistently declared that any amnesty for crimes committed by the likes of Kwoyelo amount to a violation of international law – regardless of Uganda’s domestic statutes. Almost a year on, the legal battle continues and Kwoyelo remains imprisoned. 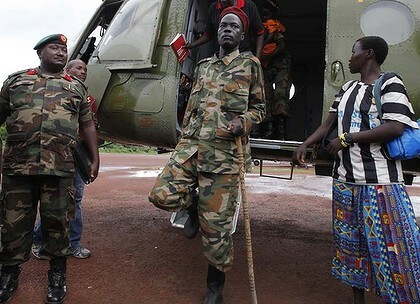 Some have commented that, with Achellam’s capture, the African Union forces are “closing in on Kony”. A great deal of skepticism is warranted here. There is every reason to believe that Kony is hiding out beyond the reach of the AU‘s forces, staying low in Sudan. I won’t belabour the point, but there remains no evidence that Kony is in any of the states where the African Union force has jurisdiction, namely the Democratic Republic of Congo, Central African Republic, Uganda and South Sudan. “…a high-ranking officer like Achellam could be an intelligence goldmine, if he divulges what he knows. The Sydney Morning Herald heralded the Achellam story, declaring that the “endgame nears for Kony”. But there are good reasons to be skeptical, not just of the “capture” of Achellam, but of the entire military effort to hunt down Kony. It bears repeating: the UPDF and the Ugandan government have always benefited, both materially and politically, from having a rebel group with a “crazy terrorist” leader on the loose. It begs the question: why are so many people so convinced that they are taking the hunt for Kony seriously this time? This entry was posted in Lord's Resistance Army (LRA), Uganda and tagged Caesar Achellam, Joseph Kony, KONY2012. Bookmark the permalink. Thanks for sharing the article, Scott. Much appreciated!